Father Jeremy Fairhead, the Catholic chaplain to Oxford University has invited me to preach at the Chaplaincy Mass tomorrow morning. I consider it an honour and was very happy to accept his invitation. I last preached there under his predecessor, Fr Peter Newby who is presently doing great work in the City - London's financial heart. I was an undergraduate in Oxford from 1980-1983 and very much enjoyed my time there. I read philosophy and theology. The Oxford system probably wasn't the best preparation for Rome. 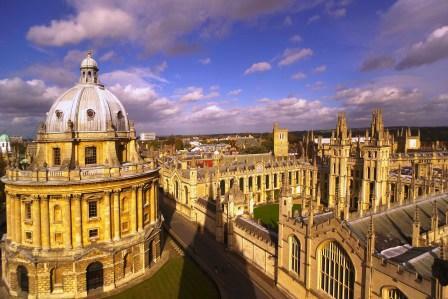 In Oxford lectures are an optional extra, rather like a supplement to your reading. In Rome you are examined on what the professor says in his classes - and in some cases we were expected to churn it out more or less verbatim. On the whole I preferred Oxford, although I can also see the advantages of the Roman system. Oxford has always been very Catholic. Not that it escaped the Reformation - it has its fair share of martyrs - but it was a place were undergraduates thought about their faith. Because of that it has traditionally been a great source of vocations. I can immediately call to mind seven students from my time who went on to apply for the priesthood. A number of girls applied to religious orders and, of course, many of our friends fell in love and eventually married, forming solid Catholic families. I am looking forward to my visit tomorrow. I know that there are still men considering priesthood in Oxford and that they are very well cared for by Fr Jeremy. Let's keep them and his important work in our prayers.